Bore Tech’s Proof-Positive Nylon Bore Brushes eliminate the false indication of copper fouling found with traditional bronze brushes and copper removing cleaners. 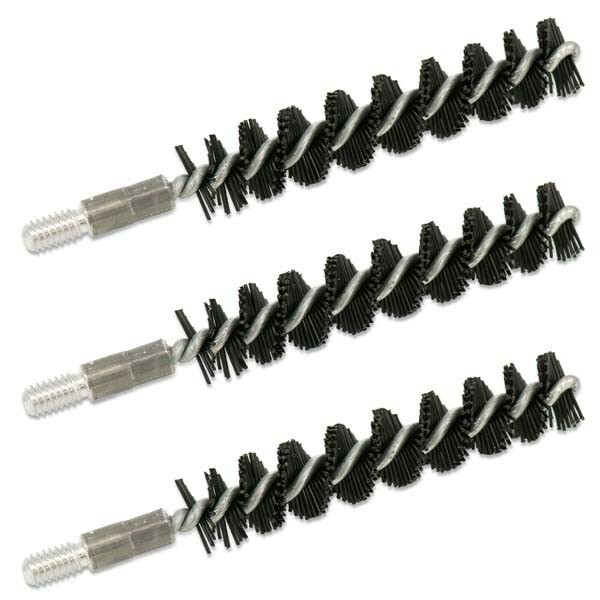 With twice the amount of oversized bristles, double wound cores, looped ends and barrel safe studs these brushes are exceptionally ridged and provide safe and effective scrubbing action all while setting the standard for nylon brushes. 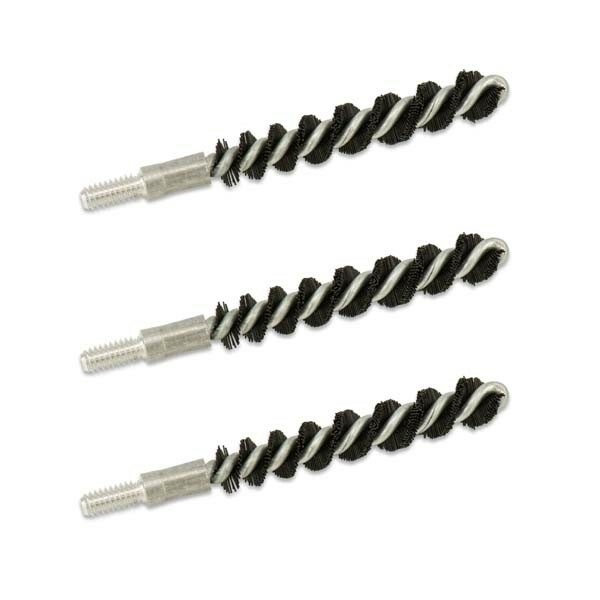 Bore Tech’s Proof-Positive Nylon Bore Brushes are 100% barrel safe and set the benchmark for all other nylon brushes. This is due to the superior construction and engineered features that are incorporated into each and every brush. Unlike phosphor bronze bristled brushes, our premium Proof-Positive Nylon Bore Brushes are strongly recommend when using fast acting copper removing cleaners such as our Eliminator Bore Cleaner or Cu+2 Copper Remover. This is due to the fact that traditional phosphor bronze brushes contain over 90% copper in their composition and will turn patches blue when in contact with most copper removing cleaners. 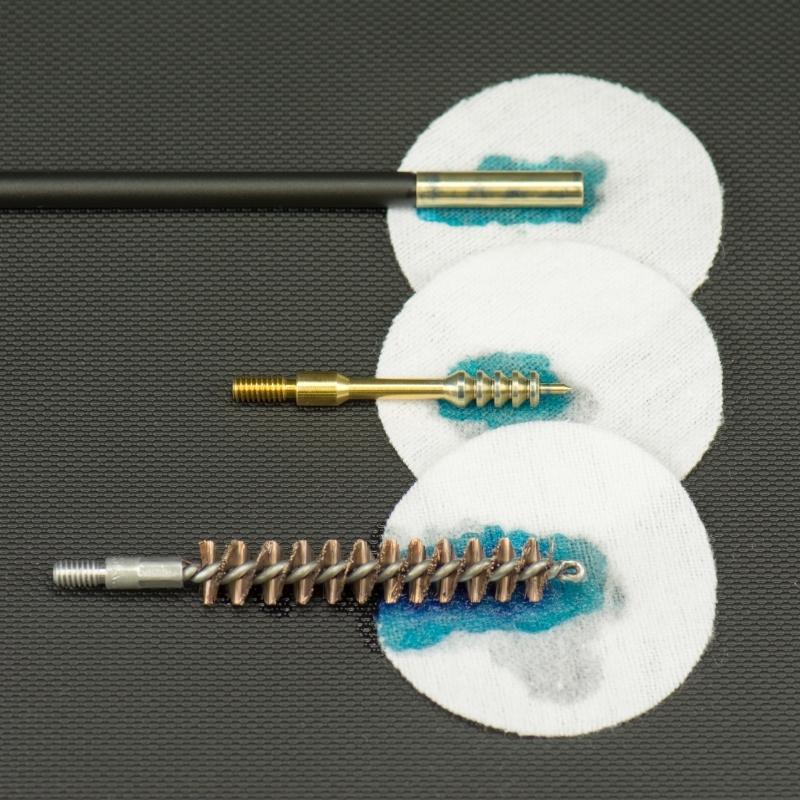 With barrel safe, non-brass cores and threads Bore Tech’s Proof-Positive Nylon Bore Brushes are not affected by copper removing cleaners and will eliminate blue patches and the false indication of copper fouling that is associated with traditional phosphor bronze brushes. 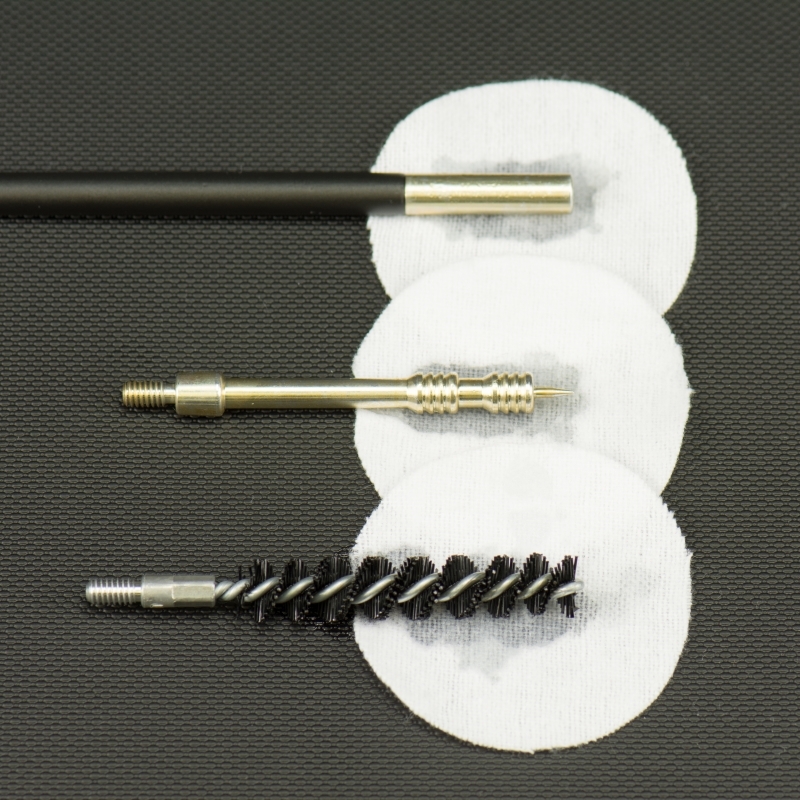 All Proof-Positive Nylon Bore Brushes have twice the amount of extra ridged nylon bristles and each caliber has specifically tailored bristle diameters resulting in double the scrubbing action and faster cleaning. 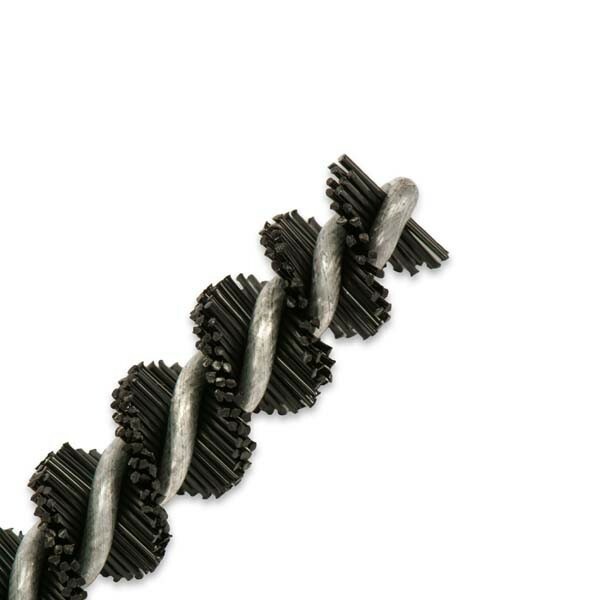 Each non brass, double wound brush core has a looped end eliminating the sharp cut ends found on many other low quality brushes. 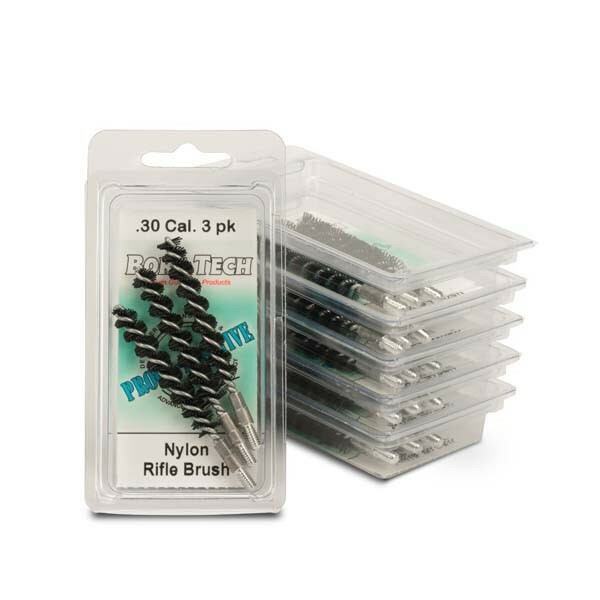 This attention to detail along with aircraft grade aluminum studs are all necessary to produce an effective, long lasting, high quality nylon bore brush for your rifle. The .17 and .20 caliber rifle brushes are shortened 1 inch in length to lessen the necessary force required to push a brush through the bore. 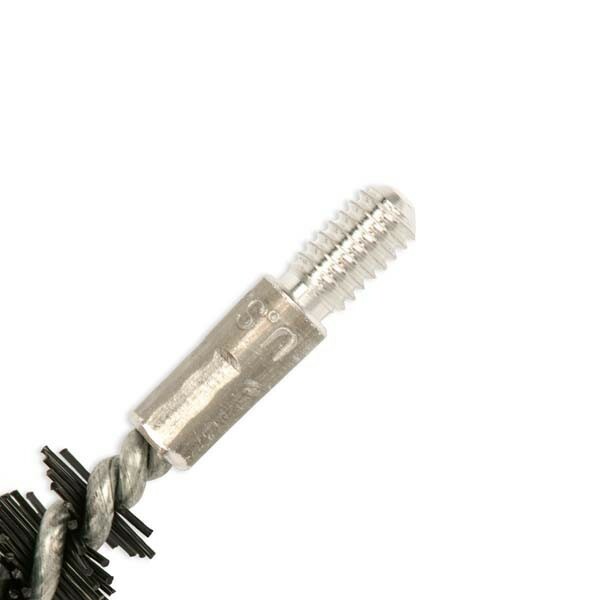 This helps diminish cleaning rod flex that can result in cleaning rod and barrel damage. 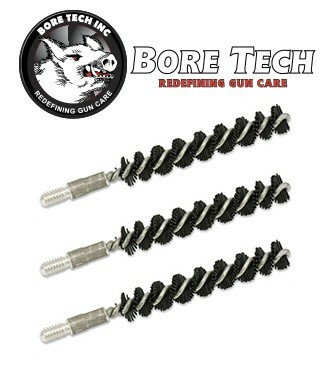 Bore Tech’s Proof-Positive Nylon Rifle Bore Brushes are available in Single Packs and Three Packs ranging from .17 to .50 caliber. Eliminate the confusion and be 100% Proof-Positive that your rifle barrels are free of copper fouling.